we thank God for this opportunity to interact with teachers during the Geography Symposium, which will take place in the afternoon of the 22nd of May, at the Lifelong Learning Institute. are you an NTU undergraduate eligible for the Undergraduate Research Experience on Campus (URECA) programme 2018/19? i am very humbled to share that - in partnership with A/P Kim Irvine and Dr Tricia Seow from the Humanities and Social Studies Education (HSSE) Academic Group of the National Institute of Education (NIE) - my team has been awarded US$55000 under the NIE’s Incentivising ICT Use Innovation Grant. the title of our project is a bit of a mouthful, namely: Investigating water quality with low-cost, scalable, open-source sensors in Geographical Inquiry for pre- and in-service Geography Education. Our intent for this project is to use our Maker Motes approach to develop a system of water quality sensors for the NIE raingarden, that could be deployed for spot measurements (e.g. in a school drain) or have the ability to be installed and provide continuous, in situ readings that would be sent to a site like the HSSE’s Sustainability Learning Lab's website or the NIE’s Internet of Things (IoT) website. The NIE raingarden provides the dual benefit of reducing local flooding and improving stormwater runoff quality. Flooding is reduced due to ponding (surface) storage as well as water storage in the substrate layers that slowly release water to local drains. Native and adapted plants are used for the raingarden because they are more tolerant of the local climate, soil, and water conditions; have deep and variable root systems for enhanced water infiltration and drought tolerance; habitat value and diversity for local ecological communities; and overall sustainability. The plants take up excess water flowing into the raingarden and through the process of transpiration, they return water vapour to the atmosphere. Water quality is improved through substrate filtration, denitrification processes, and plant uptake. The raingarden, and the sensors which will collect water quality readings, will be used as a site for outdoor learning. 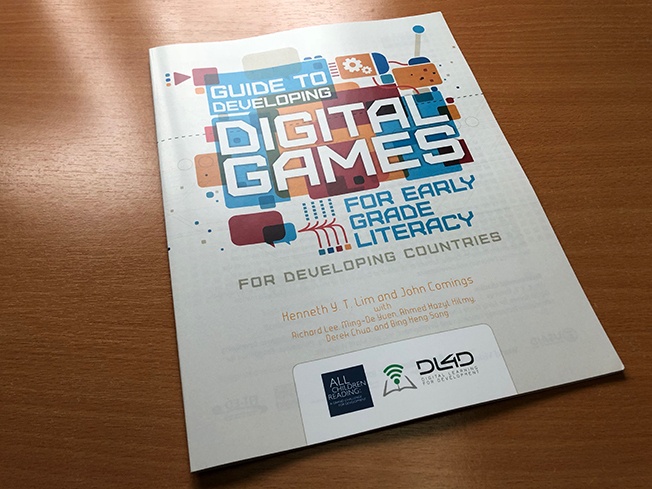 last month, i shared that a guidebook that my friends Richard, Ming-De, Ahmed, Derek, and Bing Heng wrote (together with John Comings) had been successfully published by All Children Reading. it was such a pleasant surprise to receive the physical copy of the book today. my team and i remain very grateful to All Children Reading and to Digital Learning for Development, for the happy memories during the entire process. The idea for a Visitor Learning Centre at the National Institute of Education was first mooted in December 2015. On 5 April 2018, the Centre was officially opened by the Minister for Education (Schools), at the Caring Teacher Awards ceremony at Yu Neng Primary School. Known as the National Institute of Education Visitor Learning Centre (NIEVLC), it is designed to highlight the contribution of the NIE to learning, education, and education research in Singapore. 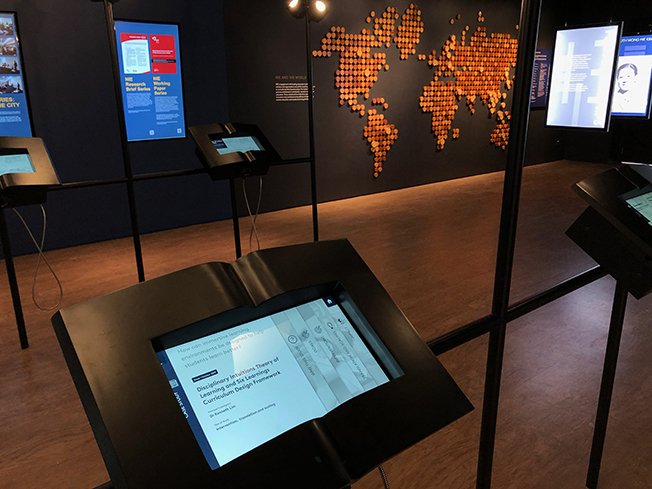 The Disciplinary Intuitions / Six Learnings programme is one of six education research programmes to currently be featured at the centre, for its opening. It is featured in this inaugural cohort of programmes, alongside those from my colleagues such as Prof Looi Chee Kit, Dr Wong Lung Hsiang, and Dr Dennis Kwek. my team and i have been invited to visit Taiwan next month. from the 7th to the 11th of May, we will be at the College of Education, National Pingtung University, facilitating a series of workshops and talks on curriculum design for STEM and maker culture, through the lens of Disciplinary Intuitions, to pre-service student-teachers and academic faculty. 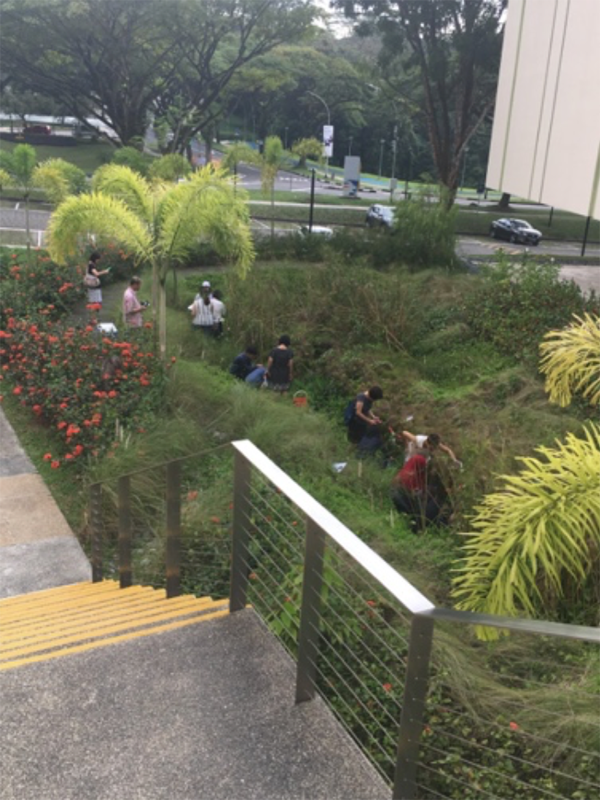 In this workshop, participants will be introduced to open-source sensors, and will learn how they can be used to investigate their local microclimate. This workshop will consist of two parts. The first part will include a hands-on activity with sensor hardware, and the second part will focus on STEM lesson design incorporating the use of such sensors. In this workshop, participants will be introduced to immersive environments (such as OpenSim or Minecraft), and will learn how to design lessons incorporating the use of such environments to surface learner intuitions. In this workshop, participants will be introduced to the Disciplinary Intuitions theory of learning, and will discuss curriculum design which focuses on surfacing learner intuitions using technological affordances such as immersive environments, open-source sensors, or robots. This talk introduces a maker culture that has spontaneously emerged within a state-funded school in Singapore. The study is of interest in that the culture of tinkering and improvisation that has supported the student-drvien makerspace shares characteristics with community-initiated makerspaces in the West, rather than with the more prescriptive and regulated socio-political constructs which are often associated with countries in East Asia. then, on the 14th of May, we have been invited to visit the Department of Education and Learning Technology, Hsinchu Teachers’ College, National Tsing Hua University, where we will engage in conversation with graduate students there. finally, our visit to Taiwan will conclude on the 15th of May, when we will visit the Graduate Institute of Science Education, College of Science, National Taiwan Normal University. There, we will facilitate a workshop to both pre-service student-teachers and in-service teachers on the topic of Disciplinary Intuitions as a lens for designing STEM curriculum.